Set Of Customers And Sellers Characters Vector Templates. Flat Style Design. Man And Woman Making Purchases And Sell Goods. Supermarket Personnel, Consumer Choice And Shopping In Mall Concept. Royalty Free Kliparty, Vektory A Ilustrace. Image 67671594. Reklamní fotografie - Set of customers and sellers characters vector templates. Flat style design. Man and woman making purchases and sell goods. Supermarket personnel, consumer choice and shopping in mall concept. Set of customers and sellers characters vector templates. Flat style design. Man and woman making purchases and sell goods. 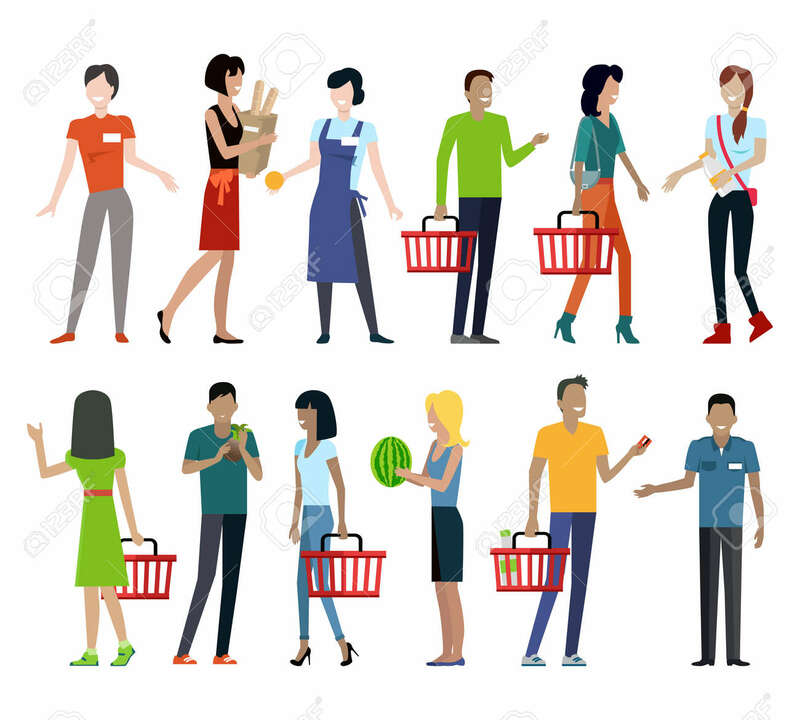 Supermarket personnel, consumer choice and shopping in mall concept.